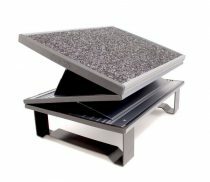 Adjustable footrest tilts 30 degrees forward and back. Locks in place or tilts freely. 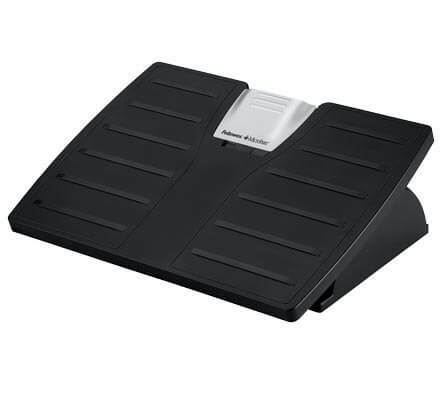 Fellowes Office Suites Adjustable Footrest helps prevent lower back and leg discomfort from poor work posture. Easy height and angle adjustment for ideal comfort. 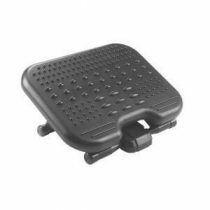 Dual mode usage ‚“ either lock in preferred position or have free movement back and forth to help stimulate foot and leg circulation. 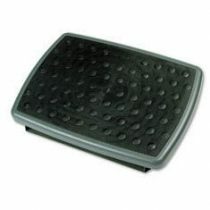 Footrest angle adjusts with foot pressure ‚“ no bending or stooping required. Built-in Microban® antimicrobial protection fights the uncontrolled growth of damaging microbes, such as bacteria, that can cause stains and odours. Smart styling in contemporary black and silver for the professional workspace.